We are in a point in time that the value of land is rapidly increasing. With this, properties become harder to own, and amount of rentals are shooting up. 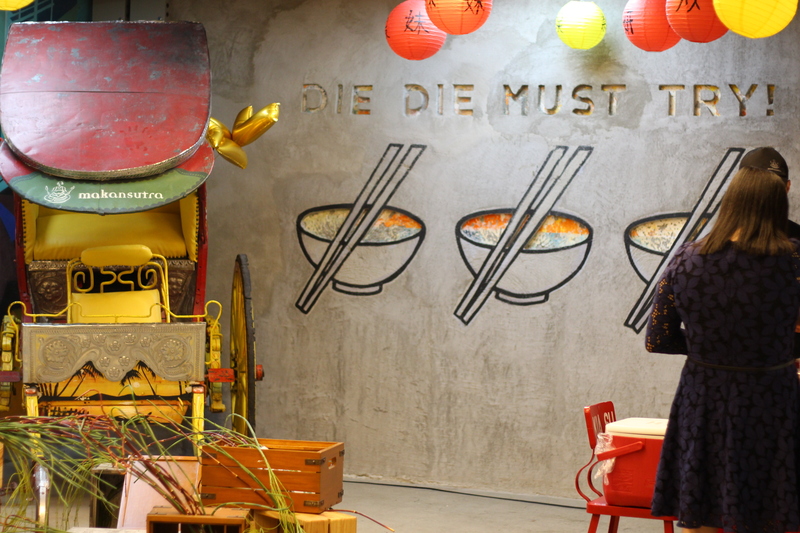 It's hard to maintain a business this way, and I guess this is why the food park concept became popular nowadays. 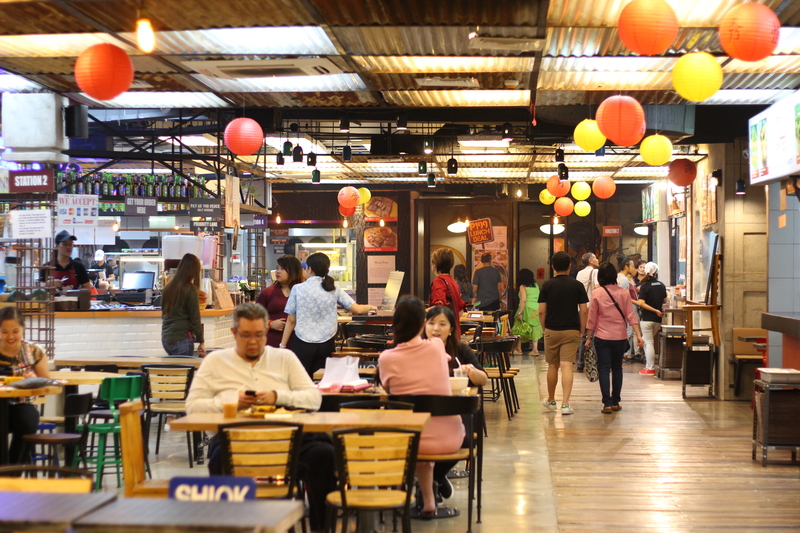 Makansutra, contrary to what I initially thought, is actually similar to a food park, with numerous establishments sharing a single space, and a common dining area. 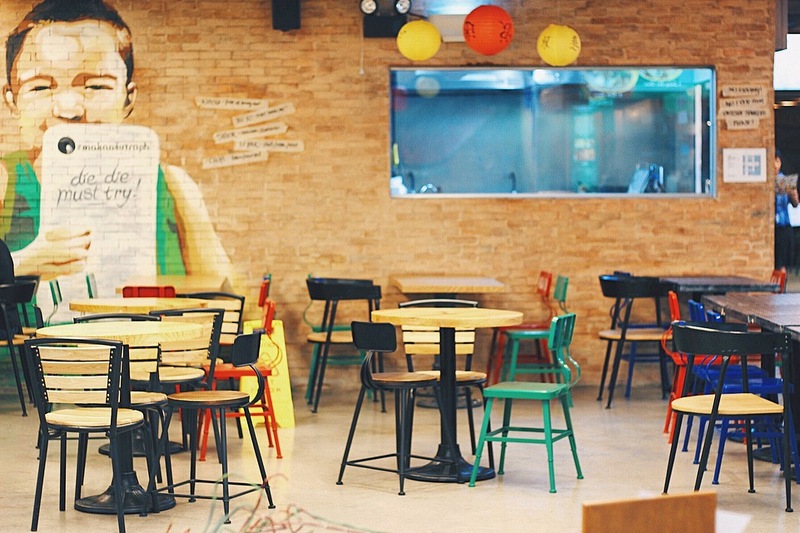 It houses different cuisines from all over the world, and can be considered as a place to have a food crawl should you wish to have a taste of the world. 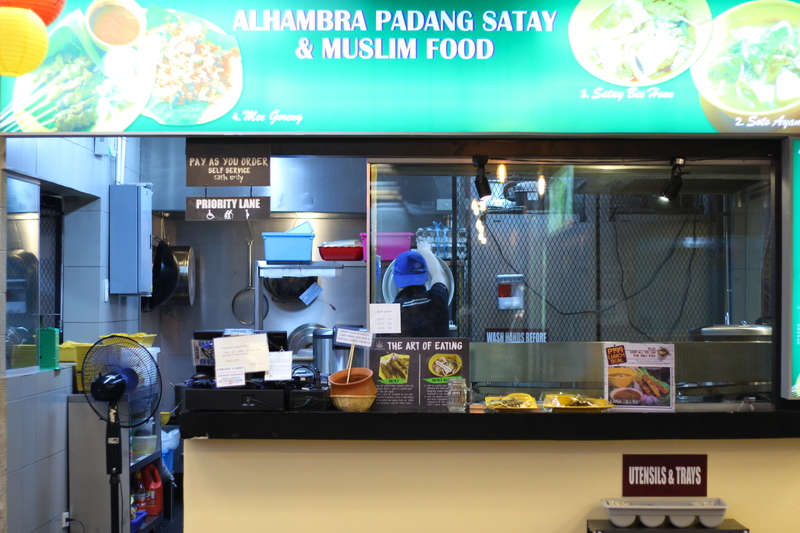 We chose to have a bite of one of the most snubbed cuisines in the country, the Muslim food. We ordered the Al Hambra lunch meal for P199, a plate which has a cup of white rice, 6 sticks of satay, a cup of chicken soup and some fried tofu on the side. 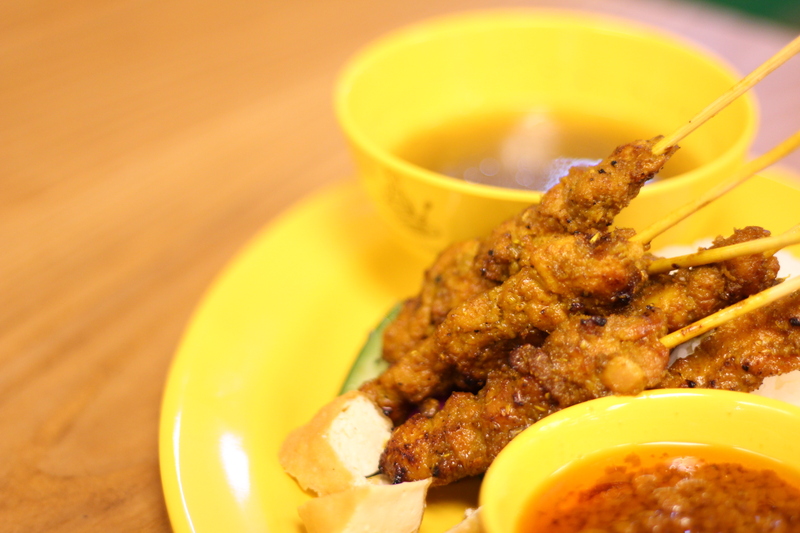 The satay sticks smelled so good! 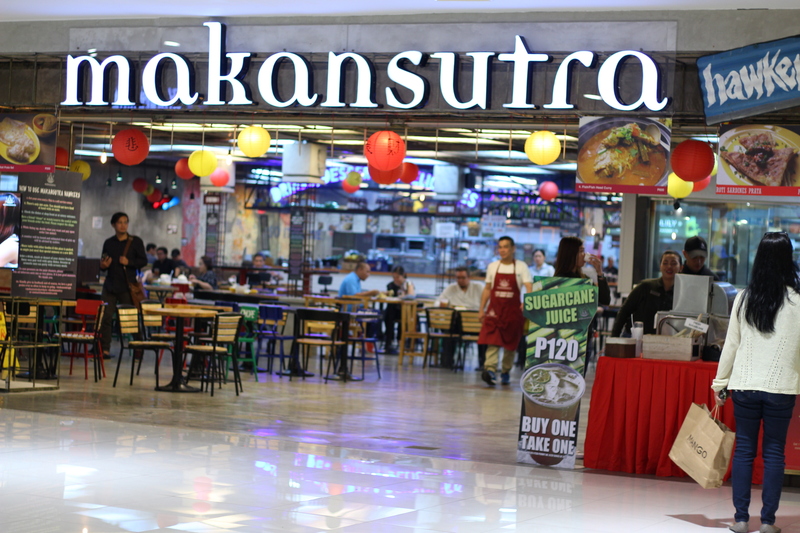 The scent of the spices that are a bit unfamiliar to the Filipino cuisine was so mouth-watering. It's like eating with your nose. 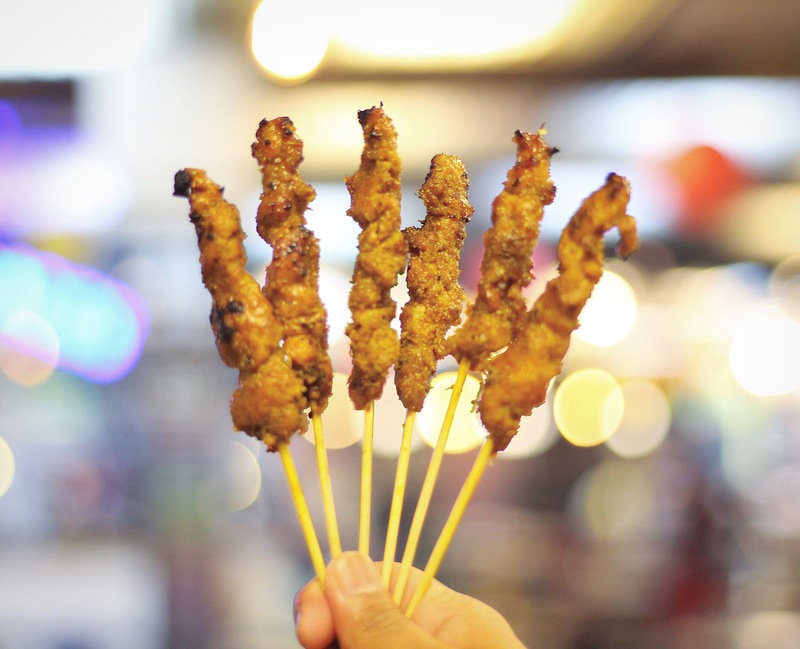 The taste of the satay sticks were good, although you'll soon realize that it's sweet (I think because of the peanut marinade) and that you've had enough. The chicken soup was also delicious, although it was oily. Tofu was bland and tastes better with the special peanut sauce on the side (although soy sauce will always be better). 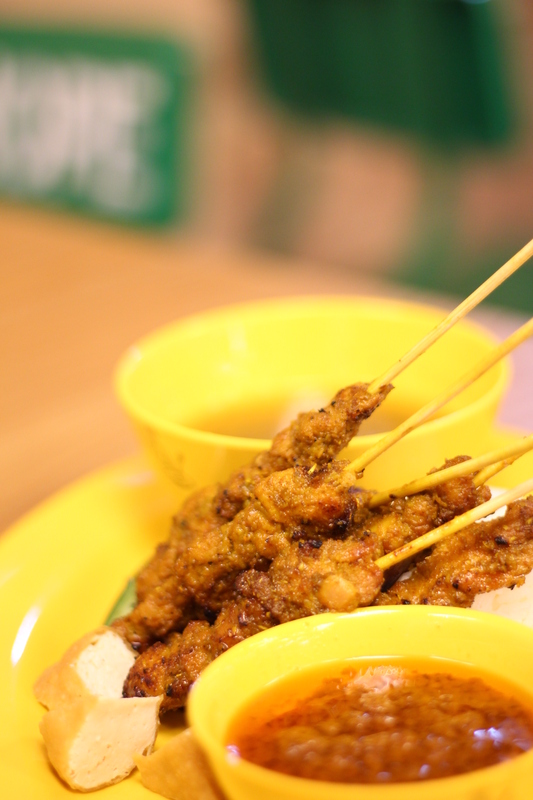 The price is somewhat affordable and really filling, although I think you can get more than this for the same price from other restaurants, taste-wise.